Just like your muscular system, your central nervous system can be overworked. If you feel tired, weak, and unmotivated in the gym, your sleepy CNS may be the cause. As you go about your workout program you should always safeguard yourself against overtraining. Overtraining can happen to almost anyone—fit or unfit, young or old—who develops an imbalance between training and recovery. Proper programming can go a long way towards helping to prevent overtraining. However, in many cases, issues outside of the gym can also tax your nervous system, leading to subpar results in your workouts and a general feeling of malaise. If that describes you, it&apos;s time to take stock and take action! Many people don&apos;t understand the difference between muscular and CNS overtraining, and this confusion can allow them to fall prey to the latter. Muscular overtraining occurs when the muscular system is not given sufficient downtime to repair broken-down tissues. For instance, if you were to work your quads intensely on Monday and then go back into the gym on Tuesday to work them, you could run the risk of overtraining. Working the same muscles incessantly can negatively impact your muscular development, but it normally impacts one muscle group specifically. On the other hand, central nervous system overtraining is a systemic issue. 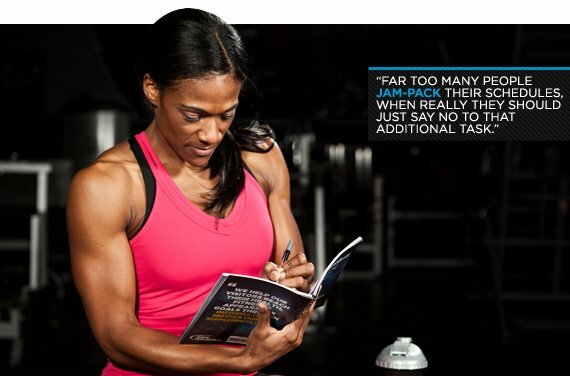 It doesn&apos;t just impact the quads, chest, or back, but rather the entire body. Your CNS is responsible for generating muscular contractions in all types of training, so when you stack workout upon workout, eventually it can tire out. As a result of this general fatigue, you will be weaker and slower in all of your movements. You may find you don&apos;t have the force generation capacity that you normally do, or that you are unexpectedly uncoordinated at times. In the gym, the main culprit is a program that has too much volume, too much intensity, and too little rest. Remember: Even if you&apos;ve planned your program properly to allow for enough rest between each session for a given muscle, your central nervous system is still being stimulated. However, all forms of stress can combine to tax the system beyond its capacity, from a financial crisis to a breakup. At that point, the workouts that normally sustain you may just be adding fuel to the fire and making you feel worse. If you suspect you are suffering from CNS overtraining, try to take a comprehensive look at potential contributors. Your CNS is a core element of who you are and how you approach your life, and preserving it requires action both inside the gym and out. Here are five ways you can save your CNS. A good workout program has adequate down time between sessions working a particular muscle group, but also down time between workout sessions period. The amount of time off you need is directly proportional to the intensity and volume of the program. The more work you are doing, the more rest you will need between sessions. Good programming includes periods of lower intensity and exercise variation. Sleep is the body&apos;s prime tool for repair, so make sure that you are getting at least eight hours each night. If you fail to do so, you won&apos;t recover as quickly from each workout session, and the next one could hit you even harder. In time, this could push you over the edge. Far too many people jam-pack their schedules, when really they should just say no to that additional task. Rather than trying to take it all on yourself, take advantage of opportunities to pass off responsibility to others. You can only do so much. If that sounds simple, it&apos;s because it is. The sooner you realize this, the sooner you&apos;ll be back on your way to your ideal physique. Every year brings another study touting the physical, emotional, and psychological benefits of meditation. Meditation, or even just deep breathing, is an excellent way to reduce your stress level, thus reducing the chances of CNS fatigue. If you&apos;ve never tried it, meditation can sound a lot more daunting than it is. Luckily, there are hundreds of books, podcasts, and web sites that give clear, practical guidance on where to start and how to build a regular practice. All you need a few minutes a day and an open mind. If your immune system is weakened, it&apos;s much more likely that you will be unable to cope with training demands. Your immune system, like your CNS, is taxed by all types of stress, which is one reason why university students fall ill right near exams. Don&apos;t wait until you feel terrible—be proactive. Fish oil and glutamine are two of the best supplements for enhancing your body&apos;s built-in defense systems, allowing you to fight on. Debilitating soreness, exhaustion, and restless sleep are often part of training, but they don&apos;t have to be your constant companions. These nutritional aids have been shown to help. 30 Days Out is Craig Capurso&apos;s personal one-month cutting program. It&apos;s a combination of intense training techniques and precision nutrition, and it&apos;s guaranteed to get you shredded.